Manage your debt, budget your recreational appetite, pay unescapable bills, credit at least 20% money into your savings account, contribute a tiny portion of income right from the beginning in your retirement or 401k account. There is nothing more thrilling and exciting than getting your first paycheck from your first ‘real job’ after school, college or university. 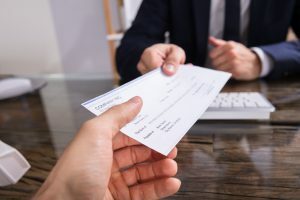 Over the course of your first month on the job, you have probably thought of spending your first paycheck in a million different ways already. Well, that’s what everyone does and it’s pretty normal. However, creating a budget or financial plan right from the beginning saves you from financial miseries and crises in the future and allows you to know the worth of your hard-earned money. Money management is no easy feat, especially when you are new to managing your money-related tasks. It is a foreign concept to most millennials. According to a survey conducted that included 5500 millennials, only 30% of people credit and contribute money from their first paycheck into their savings and 401k account. By making an analysis from the scale of percentage, the survey indicates that millennials either lack the financial wisdom to save money for hard times or they don’t even believe in saving money at all. Trust us. The motivation to save money develops right from the beginning and the little that you do contribute to your savings and retirement accounts each month accumulates to a significant wealth at the end of your working years. Your first paycheck is like a cheery on the top of a pineapple cake. If you eat it before cutting the cake, the charm and excitement level of blowing the candles and cutting the cake will vanish. This indicates that you must budget every paycheck properly and develop a habit of saving money right from the beginning in order to meet financial emergencies and save yourself from mental traumas relating to money. Monthly budgeting and bookkeeping give you a clear snapshot of your salary and helps you know where your money is actually going. Here is what you should do with your every paycheck. You may not know how to manage your money properly, but you have to learn the art of money management or you may find yourself stuck miserably amid severe financial problems. To keep your financial equation balanced, you must always pay off your debt first before allocating and spending money on other things–no matter if it’s your first paycheck or your tenth! The debts like student loan debt, auto loan debt, and credit card debt must be wisely paid off first or high-interest rates can cripple your long-term financial standing which will ultimately make it extremely difficult for you to move ahead in your career. In short, paying off debt should be priority #1 and no one argues that! Building an emergency fund and creating a savings account is ideal for you to kick-start your saving career. This will help you meet financial emergencies and encourage you to spend less and save more. Since life is horribly unpredictable, you must have a backup plan and resources to meet financial problems that may ascend at any moment. Keep working, save more, hope for the best, and plan for the worst! According to the 50-30-20 rule, you must save at least 20% of your income for hard times. Crediting a fixed portion of your income from every paycheck gets you more financially secured and stable. If you start saving from your first paycheck, it will be a big plus for you in the long run. According to studies, those who regularly contribute money into their retirement fund, 401k, or IRA account, stay happier throughout their lives and spend a relaxing life knowing their future is secured and well protected. In order to accumulate a significant wealth to enjoy your post-working or retirement life, you must start contributing to your retirement account right from your first paycheck.